This wireless stereo Bluetooth earphone from Mpow is a product which is designed for providing you with the best music experience, especially while running, jogging or playing other sports. This neckband in-ear headphone comes with APTX+EDR and is compatible with many devices including iPhone 5, 5C, 5S, 4S, iPhone 6,6S, 6S Plus, iPad, LG G2, Samsung Galaxy S6, S5, S4, S3 and Note 3 and other Android cell phones. 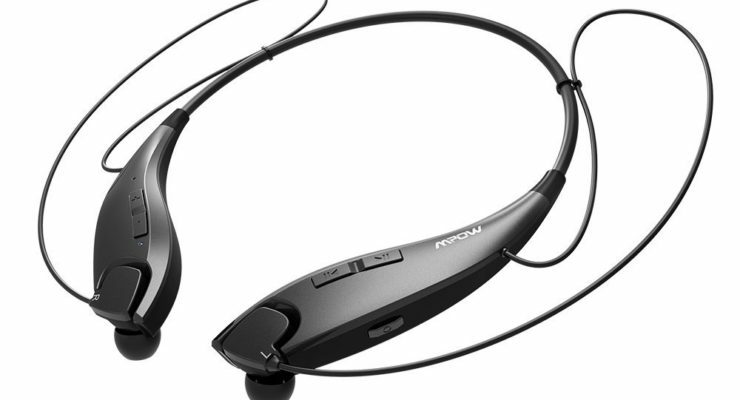 This is a stylish looking product which offers high-quality music and noise cancellation. The earplugs have a good firm grip and the neckband is adjustable for the best experience.